Dental crowns are effectively caps for the teeth, used to repair broken teeth, to improve a tooth's aesthetic appearance (for example if you have a large, discoloured filling), to strengthen teeth weakened by decay or by root canal treatment, and to provide support for other treatments such as bridges or dentures. Crowns can be made from a variety of materials, and some of these are available through the NHS. Materials used include porcelain, glass, tooth-coloured ceramics, gold alloy and porcelain bonded to precious metal. 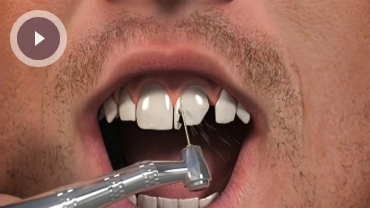 Tooth-coloured crowns will be made to closely match the shade of your natural teeth. At Park Lane Dental we use the best available materials to produce our crowns, and we are happy to discuss all the options with you. To have a crown fitted, you will need two appointments. At the first one, your dentist will prepare and shape your tooth so that the crown can be easily fitted. The amount of tooth removed will be the same thickness as your crown. Your dentist will take an impression of your tooth and will send this information, along with details of materials and/or shade information, to the laboratory for the crown to be made. After this appointment, a temporary crown will be fitted so you won't be left with an exposed tooth. When your permanent crown is ready you will have your second appointment to have it fitted. Your dentist will check that you are happy with the appearance and positioning of your crown before it is secured into place using special dental adhesive.